Rated to -40° below zero, the Caribou Wool is an ideal choice for cold-weather work and recreation. 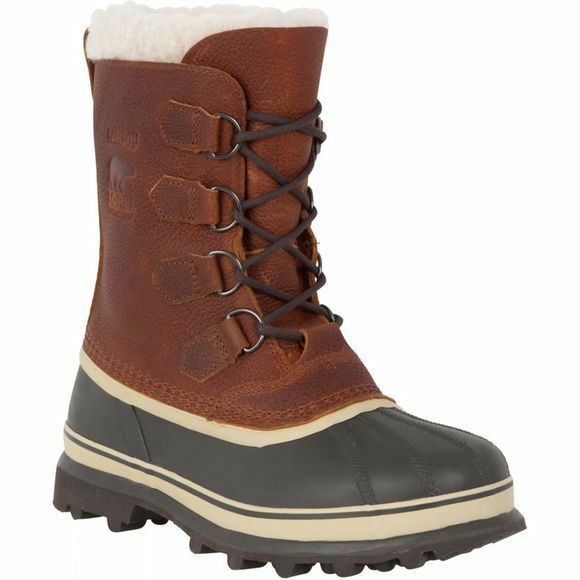 The full-grain leather upper and handcrafted vulcanized rubber shell are seam-sealed for complete waterproofness and lined with a removable 9mm felted wool InnerBoot that offers unparalleled natural insulation. 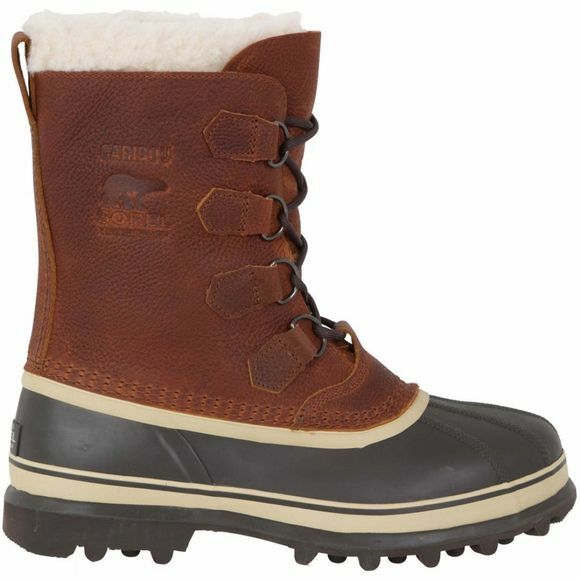 Underfoot, a thick rubber midsole insulates the boot from cold ground, while the Sorel AeroTrac non-loading outsole provides sure footing.